Many of you will be looking forward to your annual ski holiday in the New Year. The French, Swiss and Austrian Alps have already enjoyed some fantastic dumps of snow and conditions are looking good for the early season However, it’s a long drive from the Channel ports to the ski resorts, so you will no doubt be considering a stopover en route. Forget anonymous motels and, at the other extreme, expensive hotels. 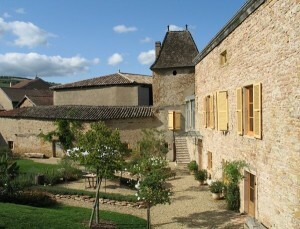 A bed and breakfast stopover in France is sure to get your holiday off to the right start. You’ll enjoy a personal welcome, often from British or English-speaking hosts, in charming accommodation with the possibility at many addresses of a home-cooked evening meal too! But France is a big country and it is too easy to underestimate distances. I generally use Via Michelin for route planning as it has the added advantage of giving you toll costs for your journey and the Bison Futé website is invaluable if you are travelling in France. Click here or on the photo above to view full accommodation details and then click the ‘enquire for availability’ link to make your request for specific dates. Our interactive map for the Nord Pas de Calais region will show you the location of other b&bs in the area. Click here or on the photo above to view full accommodation details and then click the ‘enquire for availability’ link to make your request for specific dates. Our interactive map for the Champagne region will show you the location of other b&bs in the area. If your ferry is a morning arrival then you will no doubt be wanting to get as many miles as possible behind you before halting for your stopover. Burgundy is a 5-6 hour drive and we work with some simply wonderful guest houses between Auxerre and Dijon, suitable for couples and families alike. 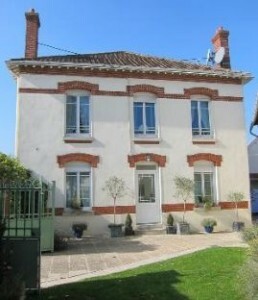 May we suggest this lovely bed and breakfast accommodation which is located 10-15 minutes from junction 21 of the A6 autoroute, midway between Auxerre and Dijon in Burgundy. Not only is the accommodation oozing with charm and character but the evening meals are superb and the welcome warm. Click here or on the photo above to view full accommodation details and then click the ‘enquire for availability’ link to make your request for specific dates. A solid 6 hour drive from Calais will get you to Maçon in southern Burgundy from where the A40 will take you East towards your ski holiday in the French Alps. This guest house bed and breakfast accommodation on a vineyard estate is perfectly placed just 4kms from exit 29 of the A6 autoroute. Families as well as couples can be accommodated in the beautifully restored guest rooms and evening meals are available. The bonus is that you can stock up on the vineyard’s wine before you leave! Click here or on the photo above to view full accommodation details and then click the ‘enquire for availability’ link to make your request for specific dates. 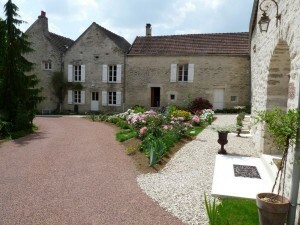 Our interactive map for the Burgundy region will show you the location of other b&bs in the area. If you are looking for stopover accommodation en route to your ski holiday in the Pyrenees then we have a multitude of quality b&bs to choose from. Your choice will obviously depend on your port of entry, so we suggest you use the interactive map to plan your drive and to find your stopover accommodation en route. – Snoweye.com is a lovely little site which contains a compilation of 5143 webcams in ski resorts from 45 countries around the world, including over 4000 in Europe. – Snow-forecast.com is a great site which includes weather forecasts, snow reports, webcams and maps for 2500 ski resorts around the world. 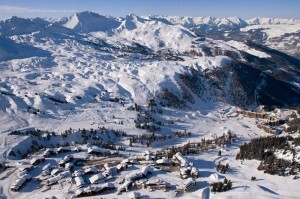 – Snowrental.net is a site through which you can save money by booking your ski hire online in advance. I have used this site myself and it’s true! That’s it folks. Enjoy your ski holiday and stay safe out there.